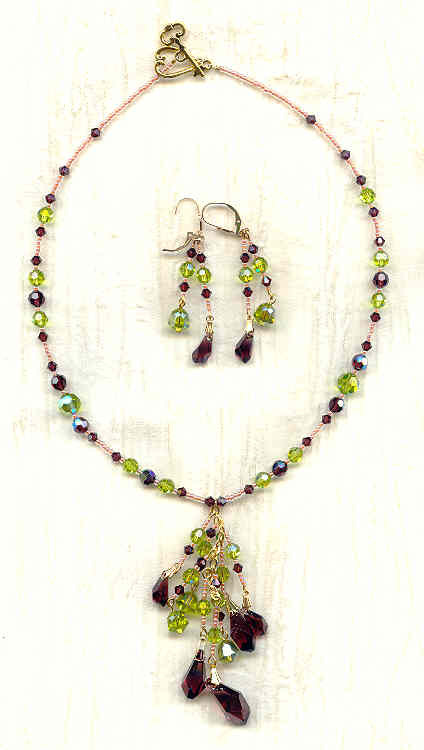 Let the least bit of light strike the Swarovski crystal beads and pendants in this necklace and earrings set, and you'll see that kind of splendour and colour come alive before your eyes. 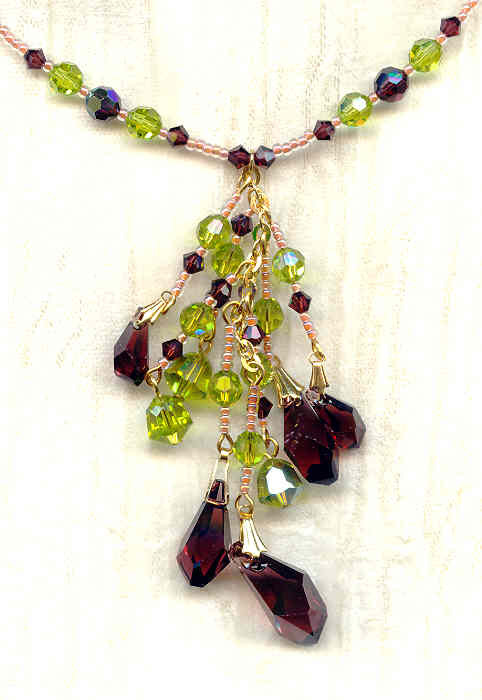 The burgundy pendants are one of Swarovski's newest cuts; the light olivene pendants are vintage, from the 1950s. The 17" strand features burgundy and light olivene beads, and closes with a gold clad pewter heart-and-key toggle. The tassel ends just shy of 3-1/2" below the strand. 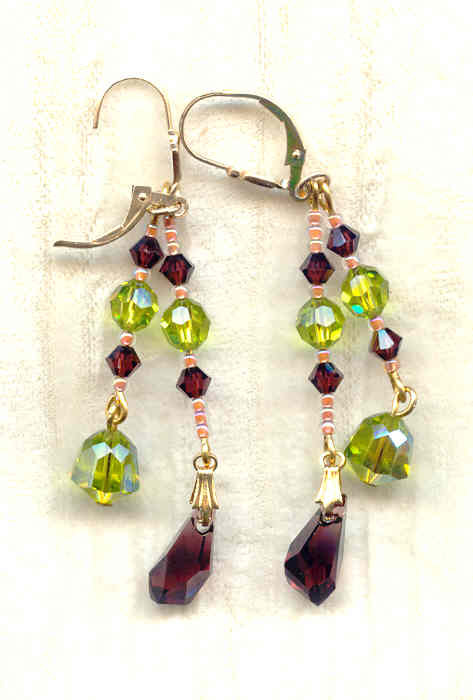 The matching earrings dangle about 2-1/2" from the tops of their 14kt gold fill lever back findings. If it's jewellery to bring sunshine into your life you'r wanting, then this is the set for you. All our one of a kind and limited edition artisan beaded jewelry is individually handcrafted in our studio in Los Angeles, California. Be sure to check our other indie boutique designs including bracelets, necklaces, earrings and other gorgeous fashion accessories. The dark green pendant is faceted glass with a gold plate over brass filigree wrapped around the top of it, giving it a very renaissance look.